If you have any questions about the AQUAMARINA information page below please contact us. 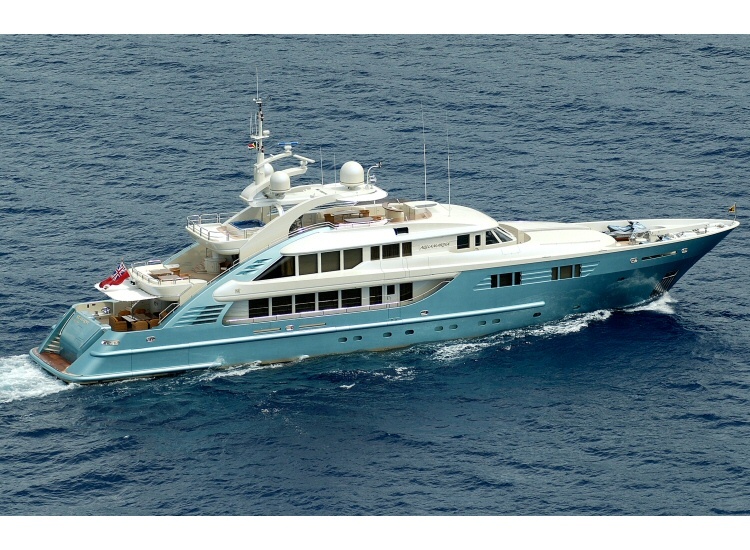 The ample luxury yacht AQUAMARINA is a motor yacht. 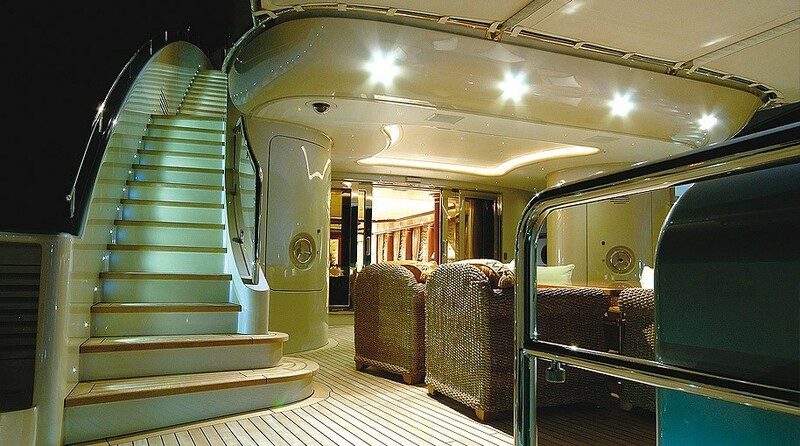 This 48 m (155 foot) luxury yacht was crafted at Isa (International Shipyards Ancona) in 2006. She is a recent full displacement yacht. Superyacht AQUAMARINA is a majestic yacht that can accommodate as many as 12 people on board and has approximately 9 crew members. Finished and launched by 2006 her reasonably recent interior decoration demonstrates the talents which are originating from Cristiano Gatto Design Team and the owner who commissioned the yacht. 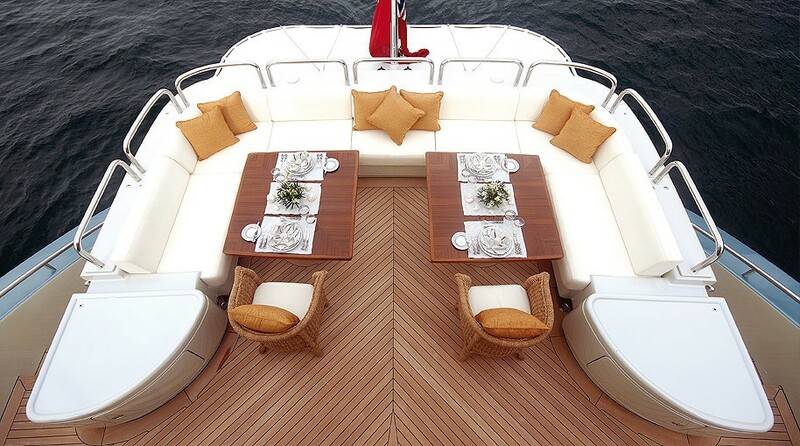 The yacht's general design work came from Isa Yachts and Walter Franchini. The professional naval architect plans are a products of Isa Yachts. Motor Yacht AQUAMARINA received her elegant interior designing from the interior design office of Cristiano Gatto Design Team. Built by Isa (International Shipyards Ancona) the yacht was constructed in the recognised yachting country Italy. She was officially launched in Ancona in 2006 before being handed over to the owner. A fairly large proportion is brought about with a maximum beam (width) of 8.9 m or 28.2 ft. With a 2.55m (8.4ft) draught (maximum depth) she is fairly shallow. The material steel was used in the building of the hull of the motor yacht. Her superstructure over the hull is created with the use of aluminium. In 2008 extra refitting and updating was also finished. 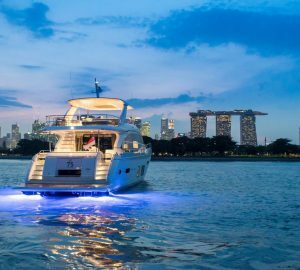 This yacht sustains twin ample MTU diesel engine(s) and can touch a comparatively good continuous speed at 17 knots. The main engine of the ship generates 2365 horse power (or 1740 kilowatts). Her total HP is 4730 HP and her total Kilowatts are 3481. She is driven by twin screw propellers (radice fixed pitch). For stabalisers she utilises Rodriquez Marine Systems. Her comparatively good cruise speed is 15 knots which produces a range of 4750. 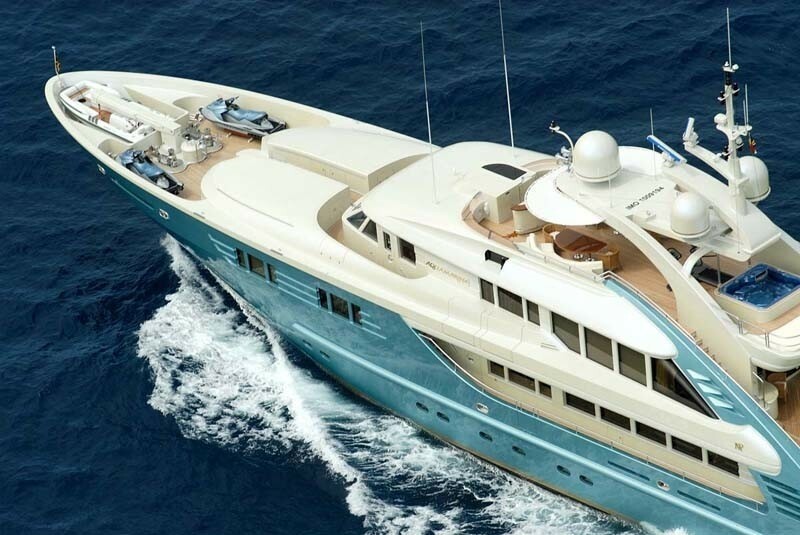 The ample luxury yacht M/Y AQUAMARINA can sleep up to 12 people and 9 qualified crew. 47.5 metres / 155 feet. Main Engine(s) is two 2365 HP / 1740 Kilowatts MTU. The Model type is 12V 4000 M70 diesel. Total engine power output 4730 HP /3481 KW. 15 nautical miles per hour. 4750 at a speed of 11 knots. Kohler 2 times 125 kilowatts, 1 times 55 kilowatts. 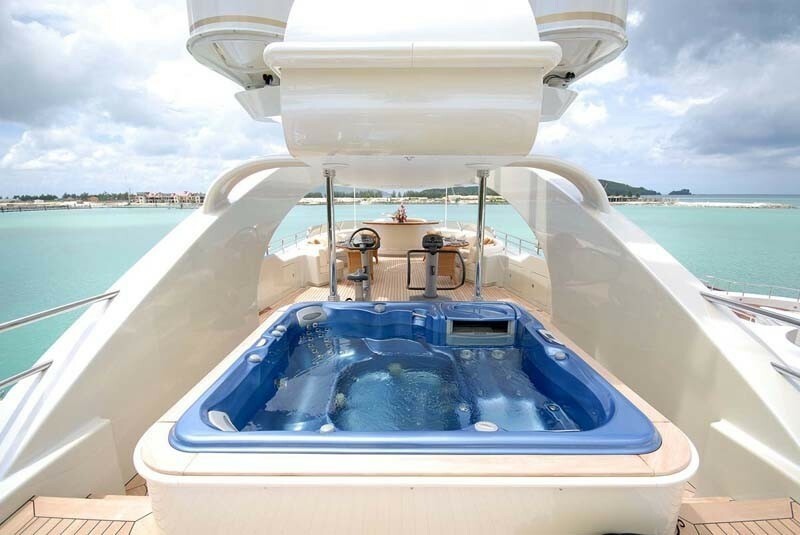 The luxury yacht AQUAMARINA displayed on this page is merely informational and she is not necessarily available for yacht charter or for sale, nor is she represented or marketed in anyway by CharterWorld. This web page and the superyacht information contained herein is not contractual. All yacht specifications and informations are displayed in good faith but CharterWorld does not warrant or assume any legal liability or responsibility for the current accuracy, completeness, validity, or usefulness of any superyacht information and/or images displayed. All boat information is subject to change without prior notice and may not be current.